Congratulations to Gill Watson! 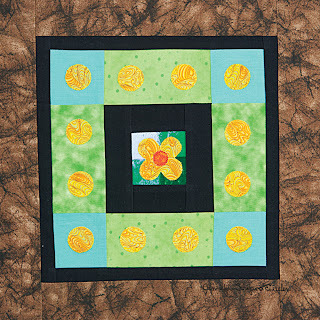 She was the winner of the Strippy Flowers Quilt Block Pattern for the Quilting Gallery's 5th Birthday Blog Tour. 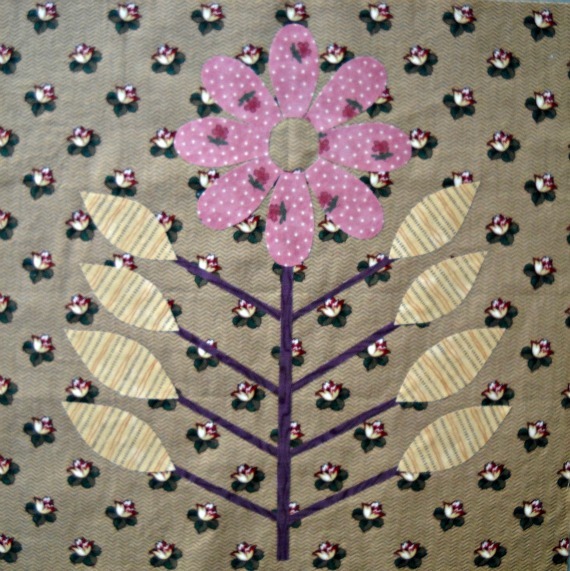 She will have the opportunity to "grow" a whole garden of Strippy Flowers! Here's a few of the flowers in my "garden". Thanks everyone, for your comments. 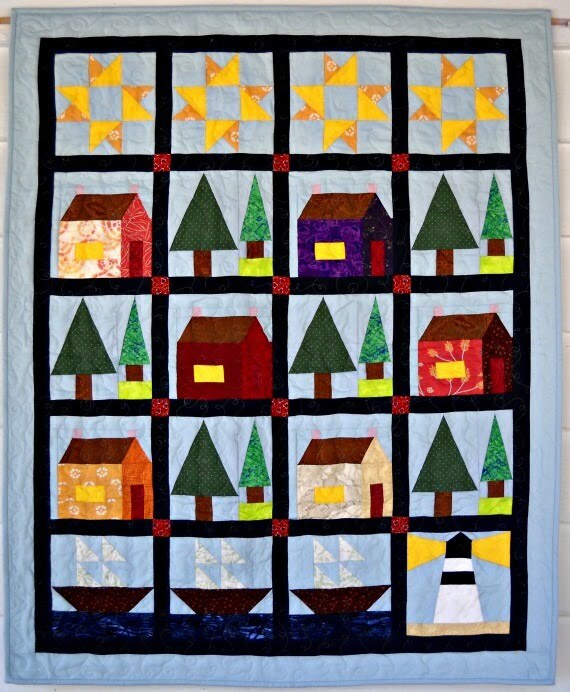 I am compiling a list of quilty subjects, questions, and fun for the blog in the upcoming year, 2013. It's right around the corner! 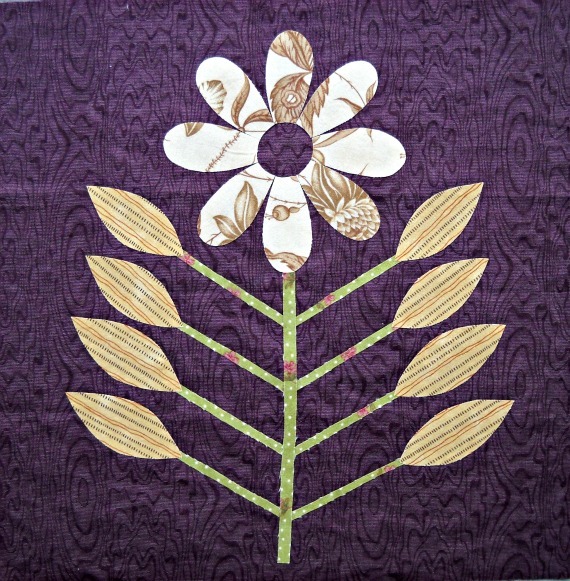 By far, the most popular request was for more information on hand applique. I adore hand applique. 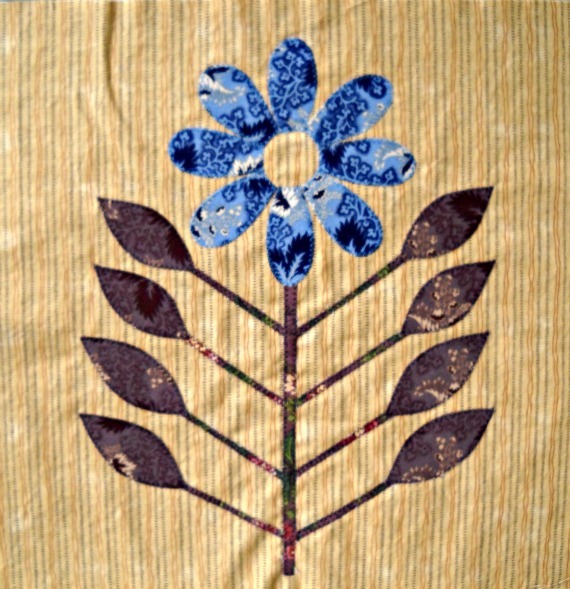 I will be exploring different methods of applique this year, and I hope you will try them all with me. 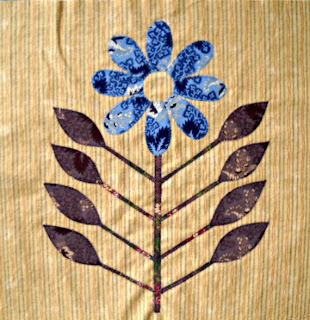 By exploring different techniques in needle arts, you may find something new that really works well for you! 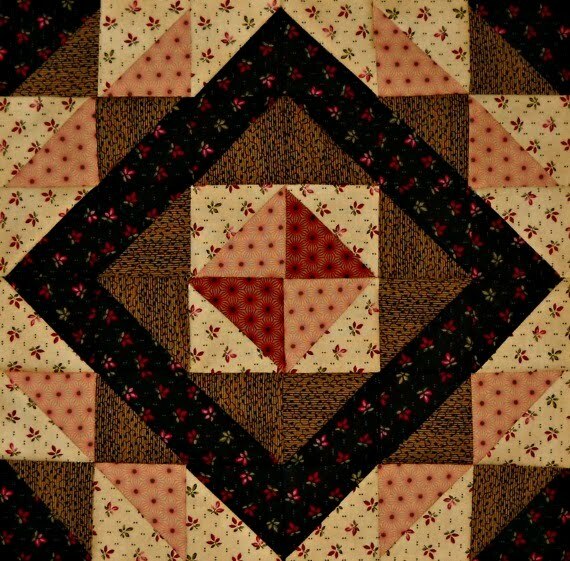 We will also be learning about curved piecing, hand quilting, choosing fabrics for your quilts, and more. 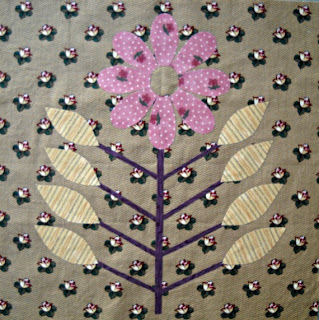 I will continue to do posts about my vintage sewing finds, too. 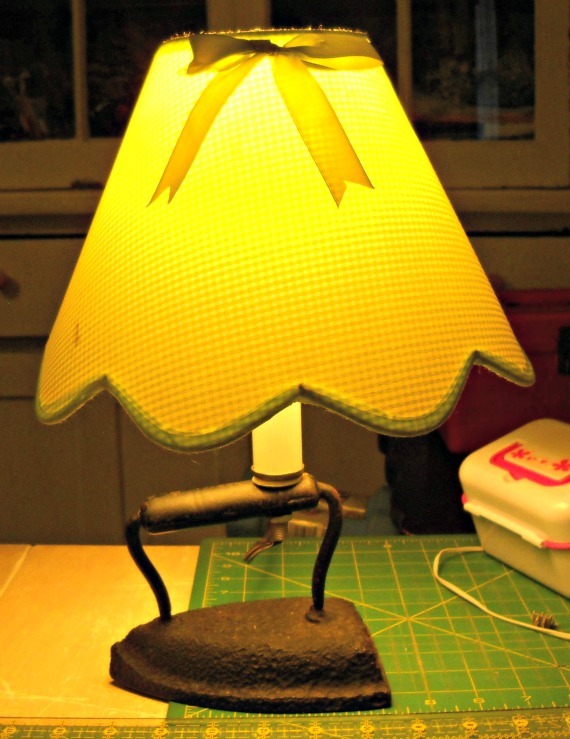 I just love vintage shopping! Lately I've been into silver thimbles. The variations in design are just amazing! 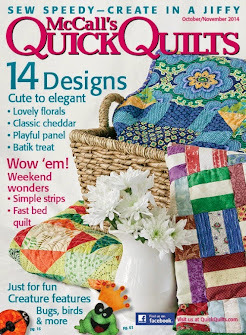 If you come up with any new quilty questions, or want to share something you've made with a Curlicue Creations pattern, please let me know! Until next time...Merry Christmas!...Happy Holidays!...and Have a super day! 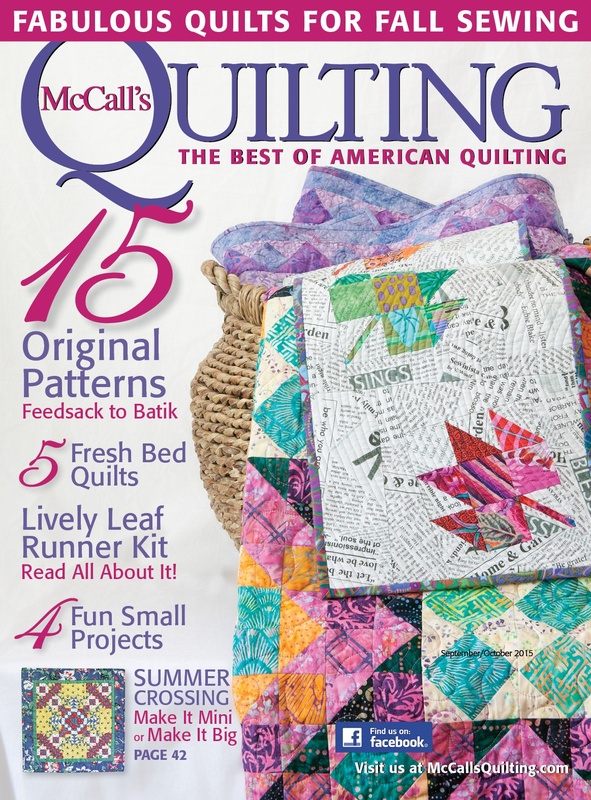 Happy 5th Birthday, Quilting Gallery! Hello there! 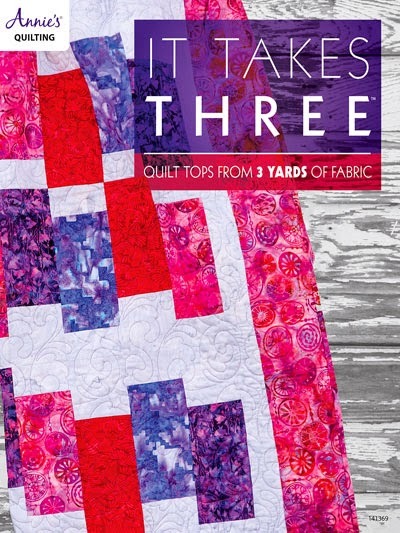 I'm so glad you could stop by for the Quilting Gallery's 5th Birthday Blog Tour. 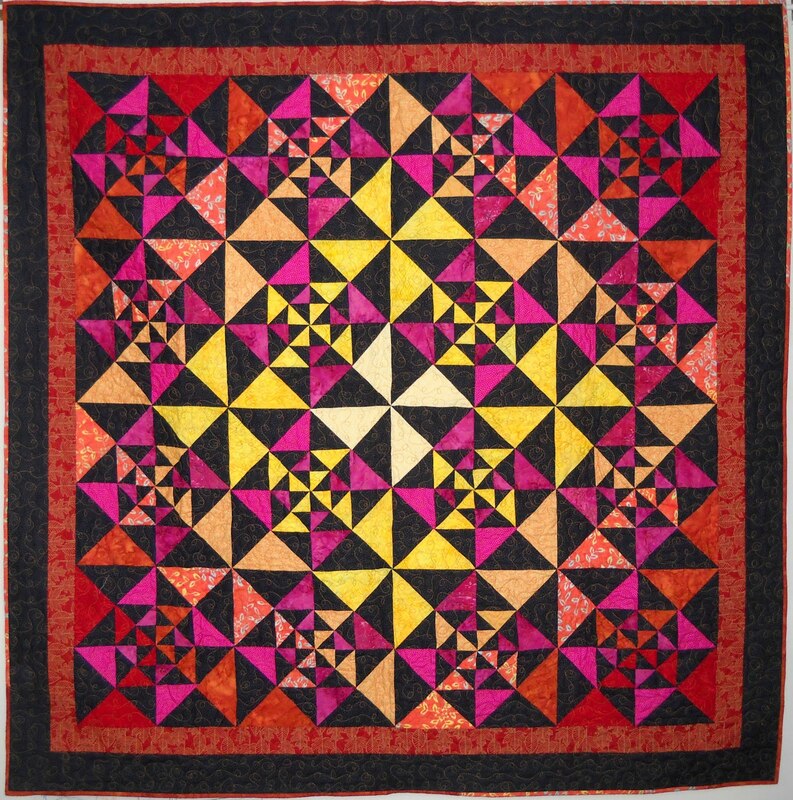 Happy Birthday, Quilting Gallery! 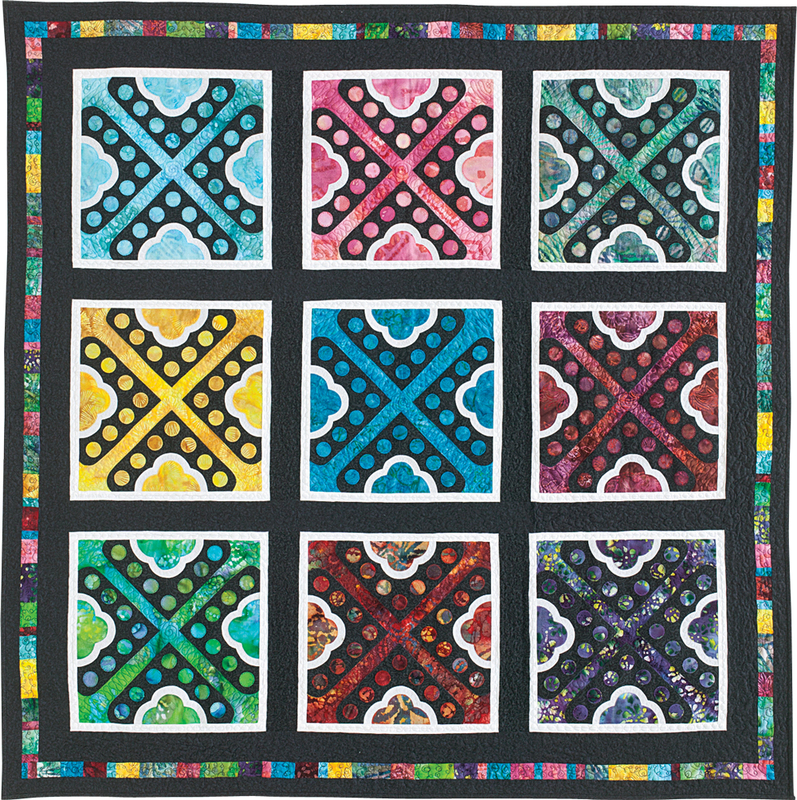 If you're here, you probably already know what an amazing site the Quilting Gallery is, but I've just got to say...I love it! 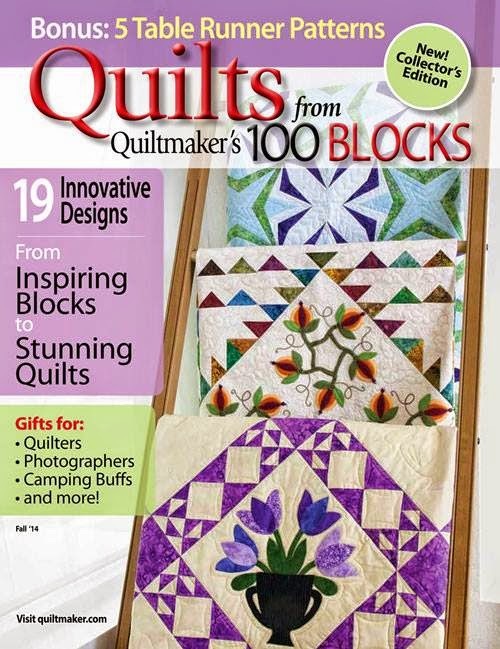 My favorite part is the section where you can look up quilt bloggers by state or country. What a neat feature! 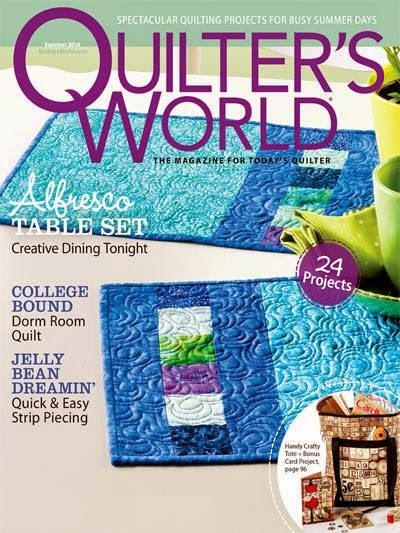 You can find out what other quilters are doing in your area, or see what's going on just about anywhere. Fun! Fun! Fun! 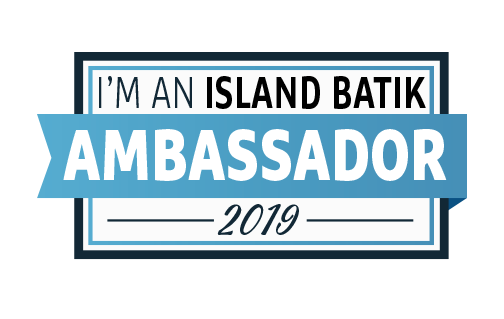 I thought I would take this moment to introduce myself to anyone who is new to my blog. Thanks so much for reading. It really does mean a lot to me. 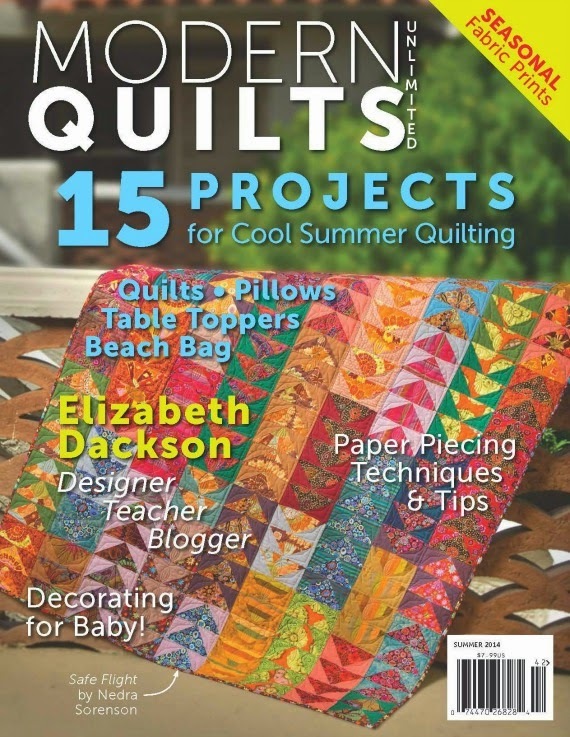 I'm a quilt pattern designer, a mother to three astounding boys, and live in the beautiful countryside of North Carolina, U.S.A. My designs have been featured in such popular magazines as Quiltmaker, Quilts and More, and Quiltmaker's 100 Blocks. 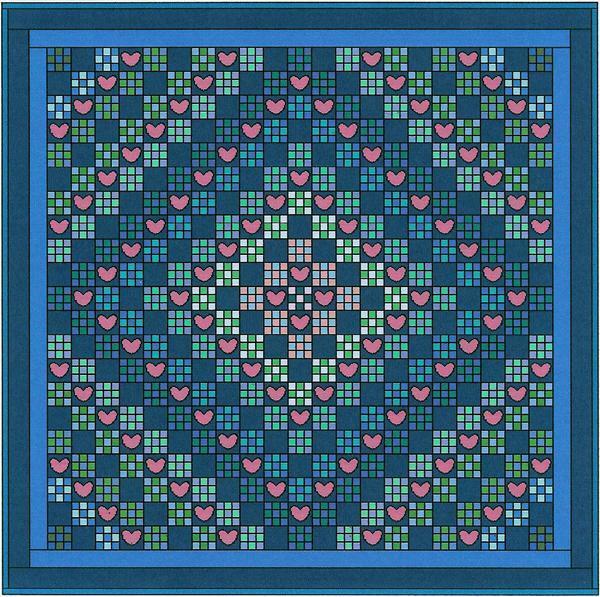 The above quilt, Tango is in the latest issue of Quiltmaker's 100 Blocks, Volume 6. 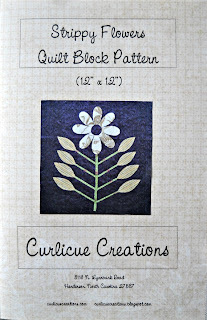 I also design and sell my patterns, along with some vintage sewing supplies in my Etsy shop, Curlicue Creations. 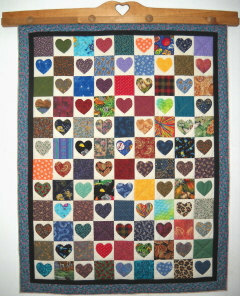 Above is the Love Trip Quilt, my variation on Trip Around the World. 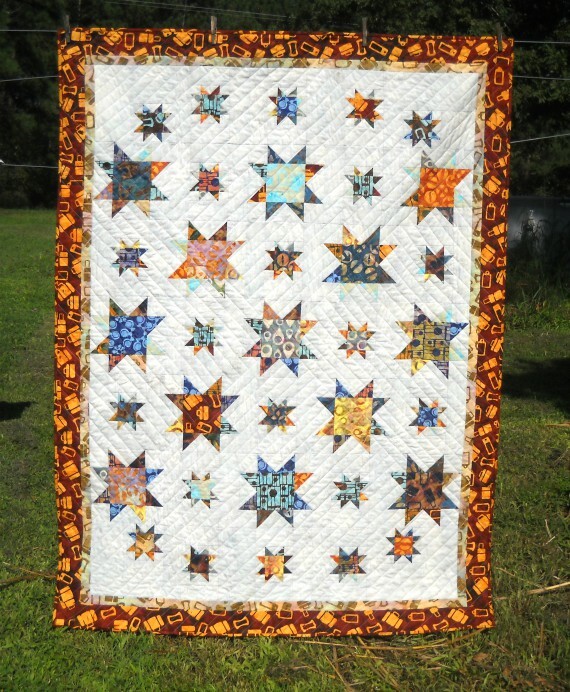 This quilt was so much fun to make. 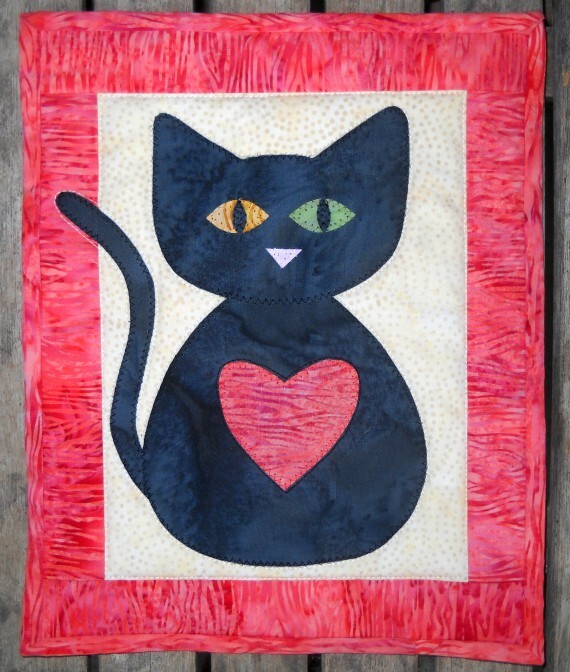 I used needle turn applique on all the hearts and the little nine patch blocks went together so quickly. 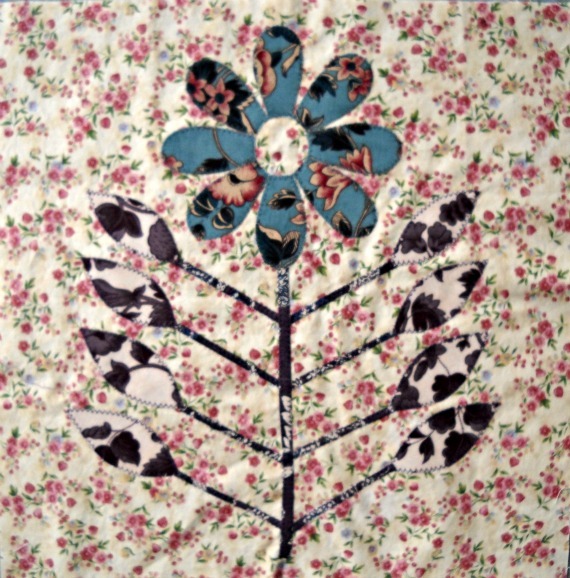 I am, however, still in the process of hand quilting! It will be finished someday, really! Here's a little more eye candy for everyone. 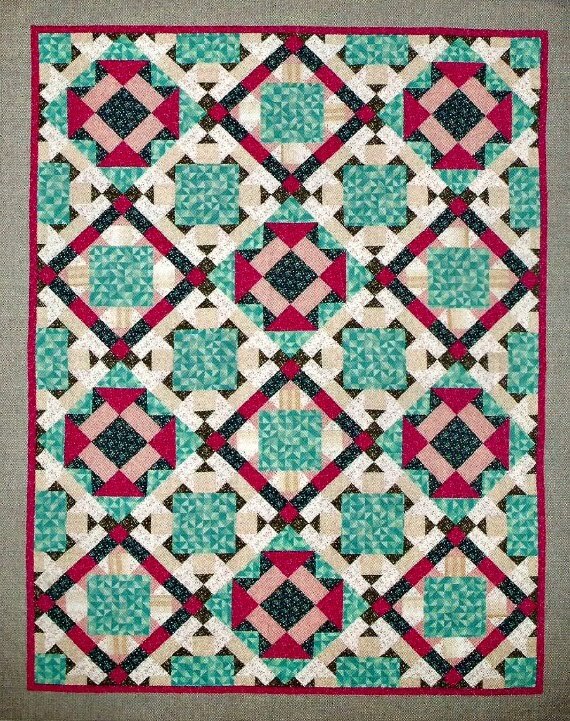 This pattern seems to be well loved by many. 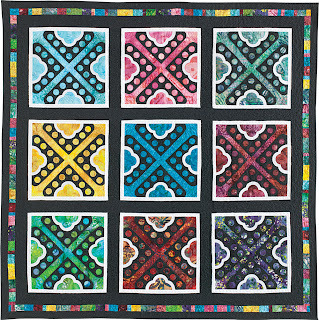 This is a fun sampler quilt I made while testing blocks for an issue of Quiltmaker's 100 Blocks. 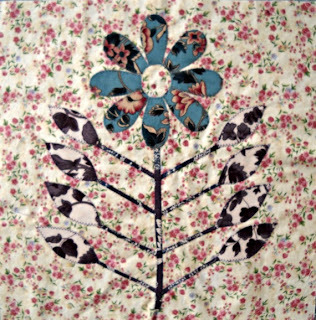 Another one of my loves that I often write about on my blog is vintage sewing shopping. 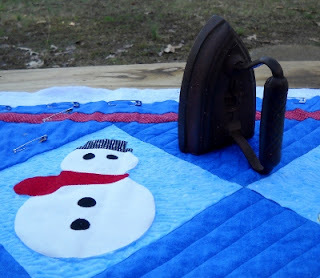 It all started out with the above iron, years ago. Now I'm well on my way to my own personal sewing museum! I try to share my finds and any interesting info about my collection here on my blog. 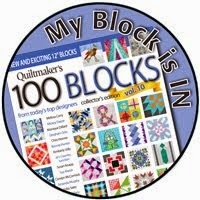 For next year I want to use my blog to help educate others about quilting. 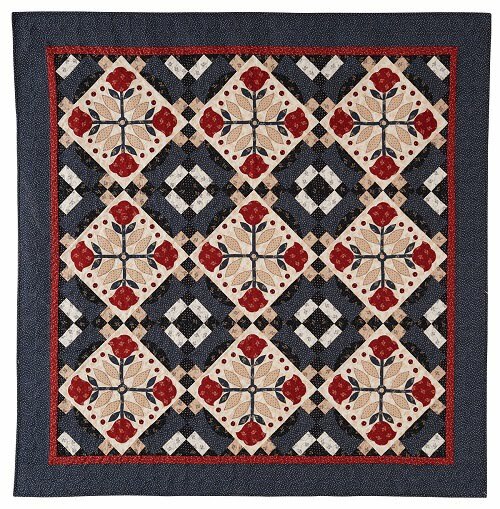 I plan to have more posts with helpful information on many quilty subjects, including choosing fabrics for your quilt, binding techniques, and a foundation piecing tutorial. So, here's my birthday giveaway to all of you. 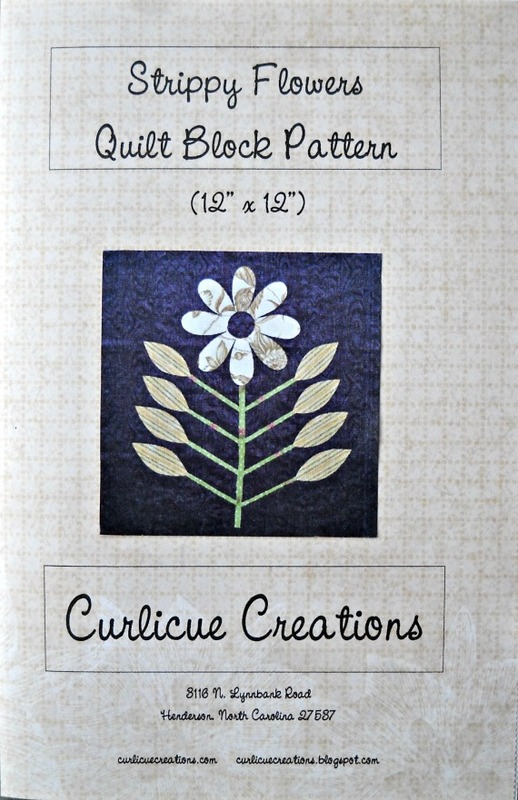 I am giving away a copy of my newest pattern, shown above, the Strippy Flowers Quilt Block. 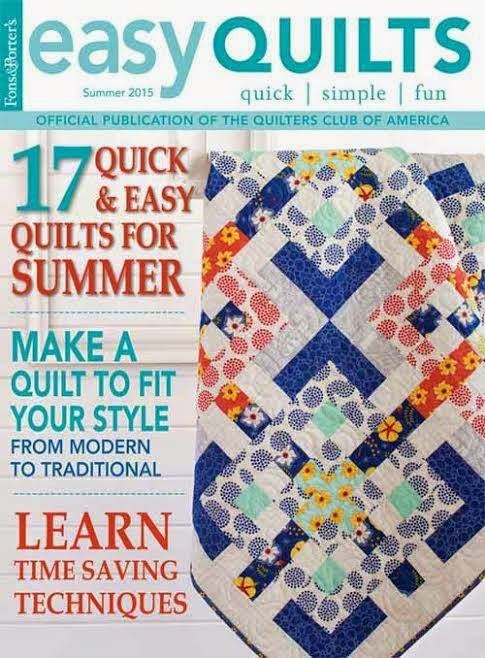 Please leave a comment about what you would like to know about quilting. 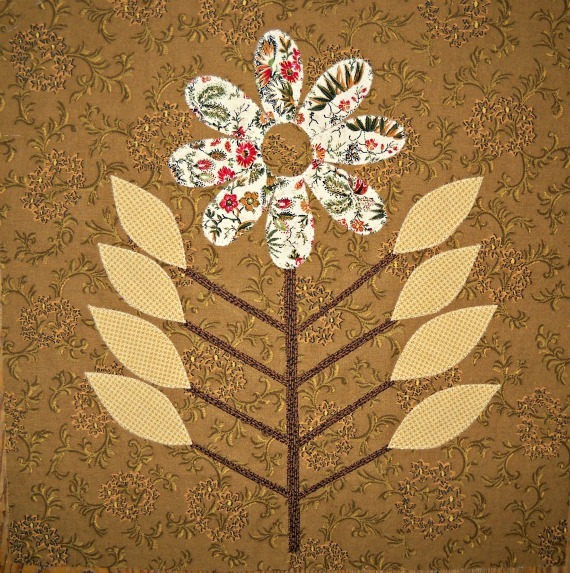 Do you have any burning quilting questions? 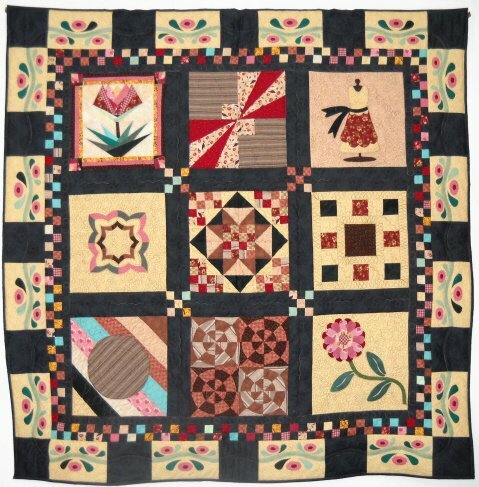 How to make a quilt label? How to properly piece a curve? How to get those annoying chocolate stains out of your current quilting project? If you're a follower of my blog, leave me a second comment, saying you're a follower for a second chance at the giveaway. The giveaway will be open now through December 15th. Thanks so much for reading & I hope to see you here again. Be sure to visit all the other stunning blogs on the tour for more fun and giveaways. Happy Birthday, Quilting Gallery! Until next time...Have a super day! & Get Creative! I started out with my iron lamp, of course. 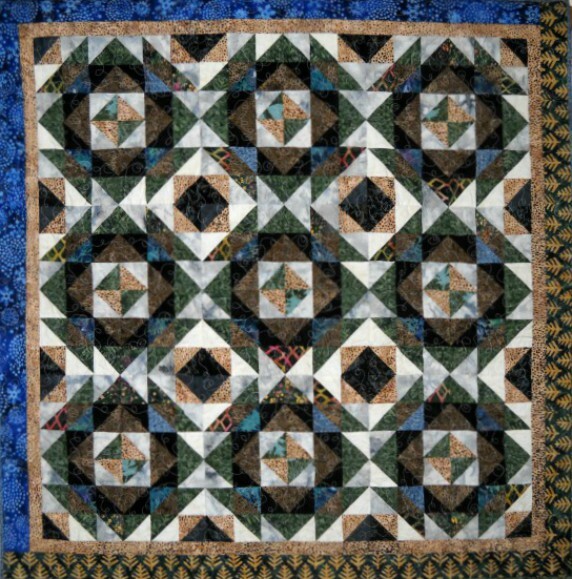 It's so quilty! I simply placed a square ruler over the top opening of the lampshade, like this. 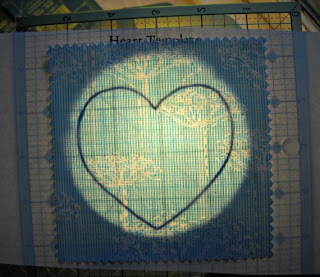 Then I placed my small pattern on top of the lighted area. This heart is from the Heart Match Quilt Pattern, by the way. 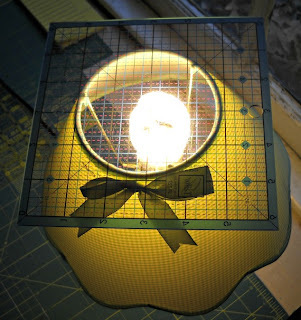 I placed my fabric on top of the lighted area and...Voila! 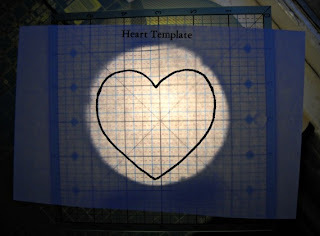 Tracing time! It worked really well. Of course, the design you're tracing would have to be small to use this method. 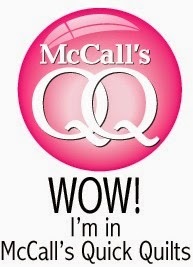 And, if you haven't joined my Facebook Group, Quilters Show and Tell, please do! 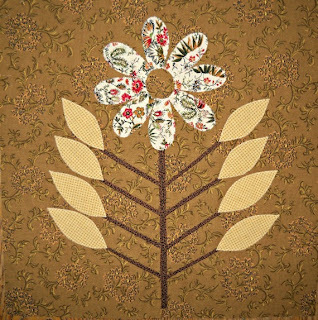 We're a fun group of quilters simply sharing photos and info about what we're working on and helping each other out with any quilt related questions. Come and join in on the fun. 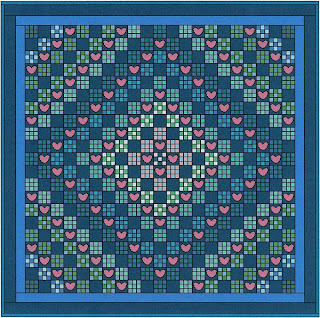 We're even going to have a Mystery Quilt a Long starting in January, hosted by my friend and upcoming quilt designer, Sally Anne Johnson. Be sure to visit my blog again on Sunday evening (6:00 EST). 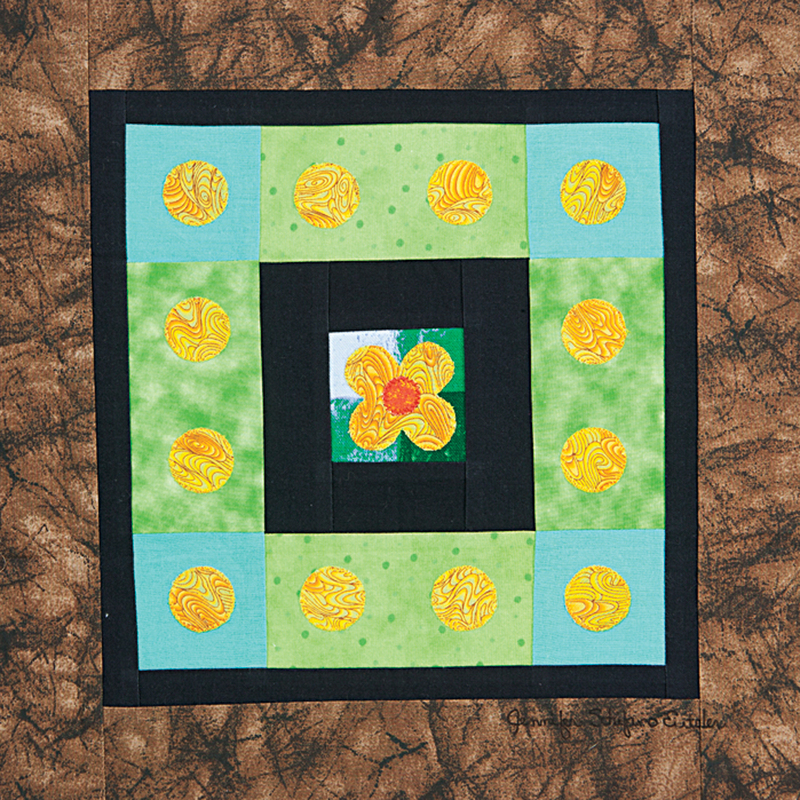 I will be part of the Quilting Gallery's 5th Birthday Blog Hop. This is going to be a bundle of fun! 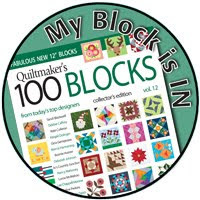 I will be having a giveaway and links to the Blog Party so you can visit and meet all the wondrous quilters participating in the Blog Hop! Until next time...Have a super day...and Get Creative!